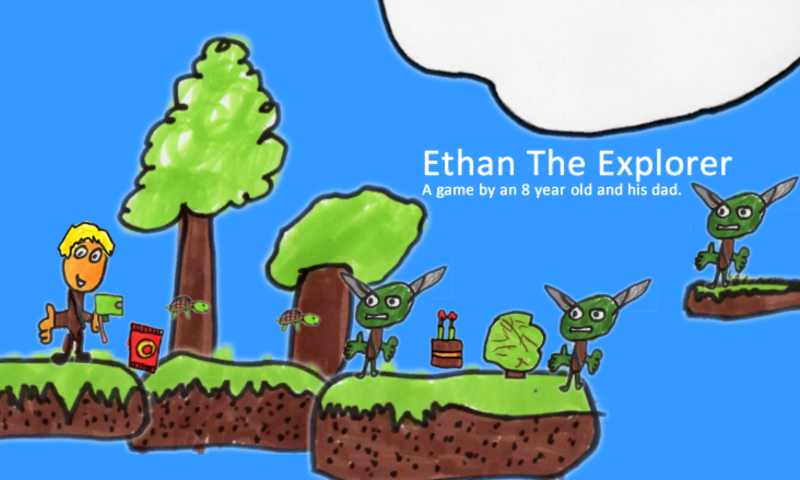 I used to make up stories about Ethan The Explorer for my kids. But the story of the game comes direct from my 8 year old. I guess it went in, settled a bit, got infected by Adventure Time and here it is!! 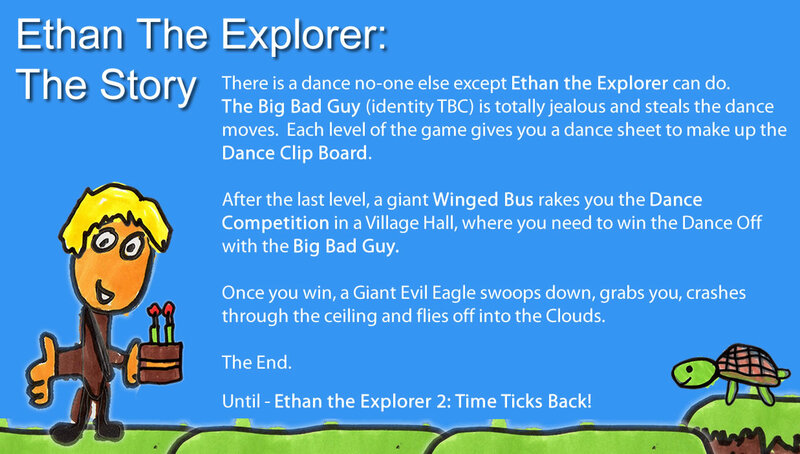 There is a dance no-one else except Ethan the Explorer can do. The Big Bad Guy (identity TBC) is totally jealous and steals the dance moves. Each level of the game gives you a dance sheet to make up the Dance Clip Board. After the last level, a giant Winged Bus rakes you the Dance Competition in a Village Hall, where you need to win the Dance Off with the Big Bad Guy. Once you win, a Giant Evil Eagle swoops down, grabs you, crashes through the ceiling and flies off into the Clouds. Until – Ethan the Explorer 2: Time Ticks Back!